The Blogboard Jungle: The Captain Marvel Trailer is DOPE! The Captain Marvel Trailer is DOPE! 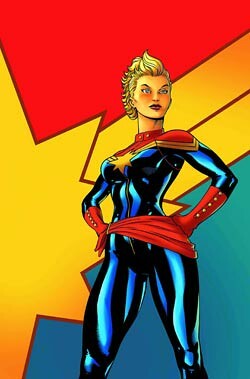 The trailer for the upcoming 2019 Marvel film, Captain Marvel released this week and it seems to do the character justice. With the appearance of the Skrulls in the trailer, it looks like some elements of the "Secret Invasion" storyline may be mixed in with the film version, or at least introduce the Skrulls to use that story in a later film.